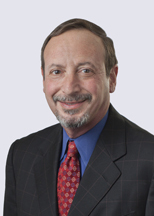 Howard Goldman is a partner in the Real Estate department. His practice focuses on negotiating and representing borrowers and lenders in secured loans, commercial mortgage-backed security (CMBS) loans, refinancings, loan workouts and foreclosures, ground leases, and commercial leasing matters. Howard takes an advisory and proactive approach with clients and looks for long-term opportunities based on his understanding of their operations and industry to enhance their profitability and increase their business. Represented a property owner in connection with two separate lease transactions each exceeding 50,000 sq. ft.